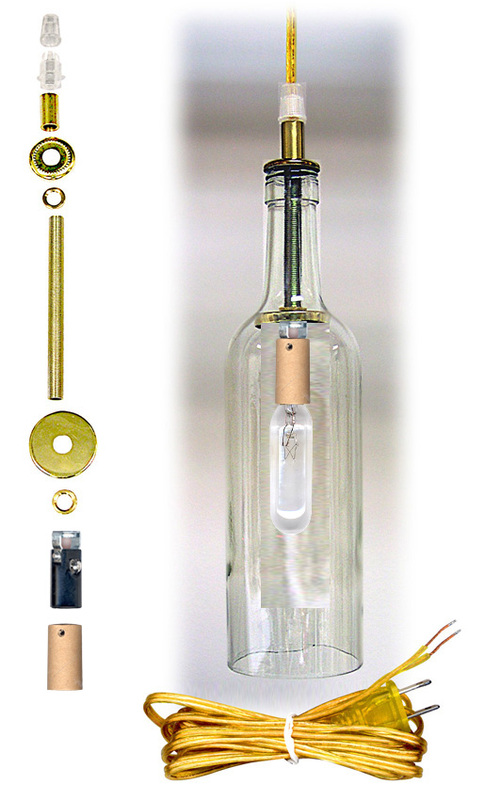 Wine Bottle Hanging Lamp Kits have everything you need to turn your wine bottle into a unique pendant lamp. For indoor use only. Bottle NOT included. Comes with illustrated wiring instructions. A) Wine Bottle Hanging Lamp Kit for Standard Edison Base Light Bulbs includes bright brass plated socket, mounting hardware plus 8 ft. SPT-1 Transparent Gold lamp cord with 2 prong polarized plug. Bulb NOT included. 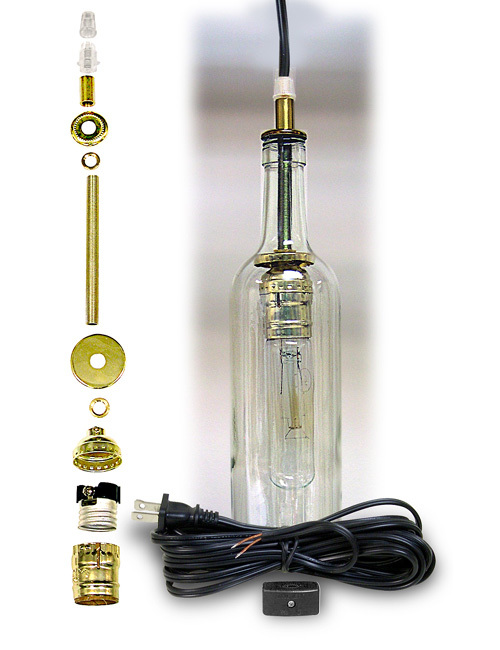 B) Wine Bottle Hanging Lamp Kit for Standard Edison Base Light Bulbs includes bright brass plated socket, in-line on/off switch, mounting hardware and 15 ft. SPT-2 Black lamp cord with 2 prong polarized plug. 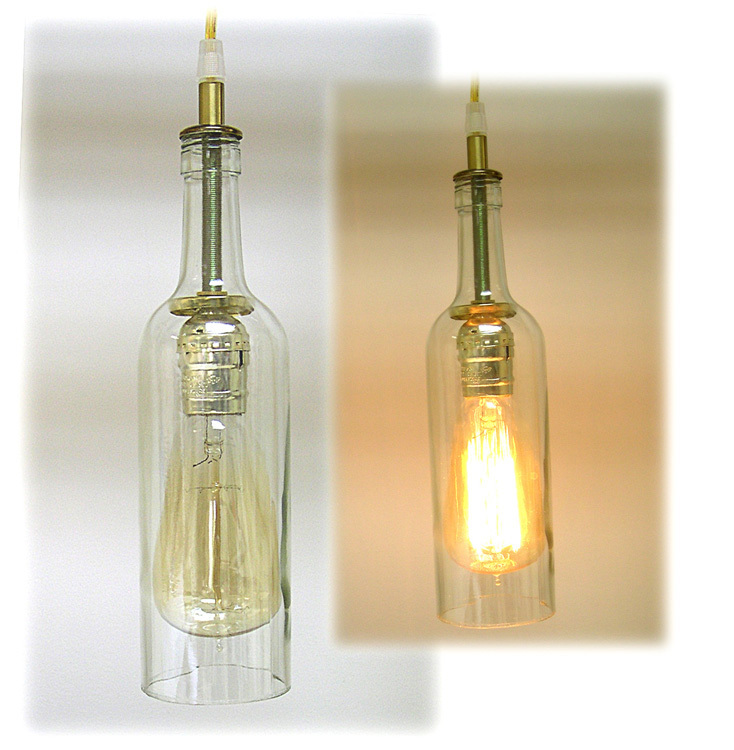 Includes 25W tubular light bulb. 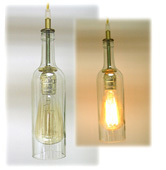 C) Wine Bottle Hanging Lamp Kit With 25 Watt Antique Style Edison Bulb. 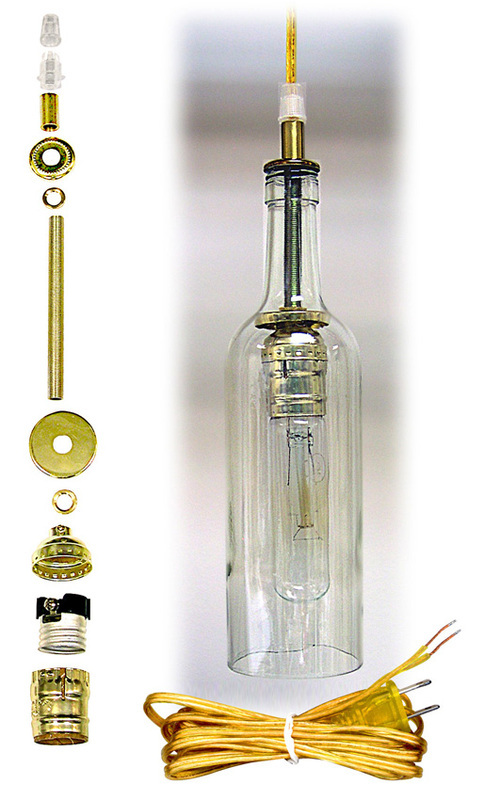 Kit also includes bright brass-plated socket, mounting hardware and 8' SPT-1 Clear Gold lamp Cord with 2 prong polarized plug. IMPORTANT: Bottle must have an I.D. of at least 2-3/4". 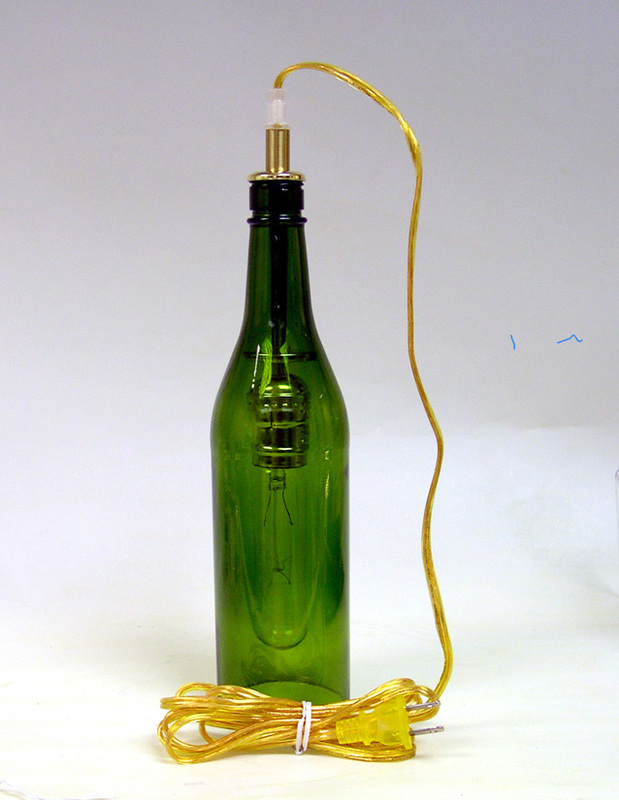 D) Wine Bottle Hanging Lamp Kit for Candelabra Base Light Bulbs includes phenolic candelabra socket, mounting hardware plus 8 ft. SPT-1 Transparent Gold lamp cord with 2 prong polarized plug. Bulb NOT included.